I have the latest collaboration polishes from Picture Polish to share with you today. This new collection, which was released back in January (can you believe it's March already!!) features a new finish for Picture Polish. These polishes, together with Scarlett, have a multi-coloured fleck, metallic finish and an ultra fine particle holographic glow. 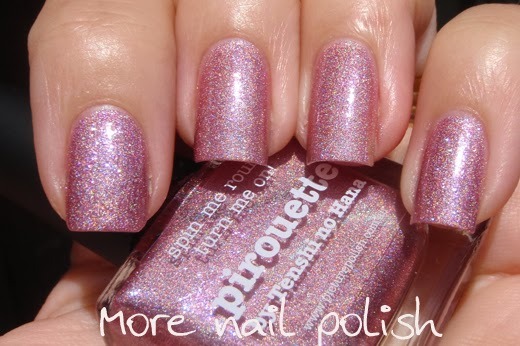 Picture Polish is calling this finish 'bijou holo', which means small and delicate. Plus this new formulation is also 5 fee. I also must say that this finish is totally unique within my collection. 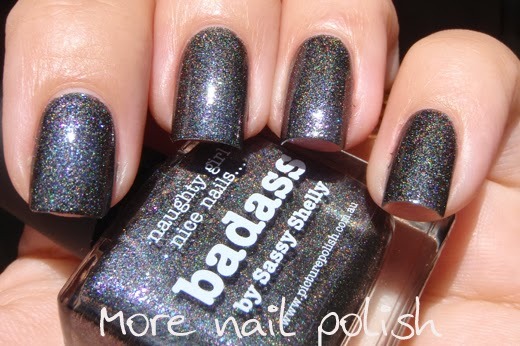 Badass - by Sassy Shelly. 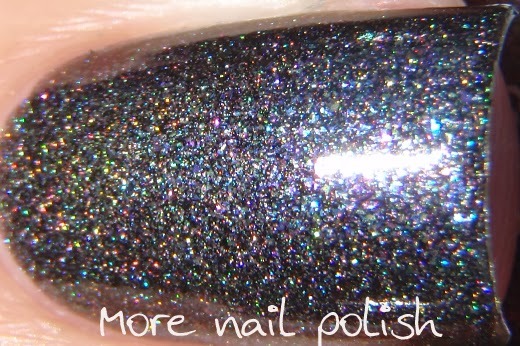 A charcoal black holo base packed with multi-coloured flecks and a fine holo shimmer. The finish is quite metallic looking and the formula was perfect. Nearly a one coater, but I did two for these photos. Hussy - by Holographic Hussy. 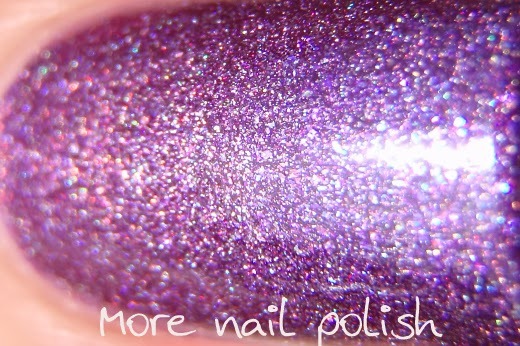 A medium toned purple with multi-coloured sparks and the fine and delicate holo particles. Another fantastic formula with great opacity. 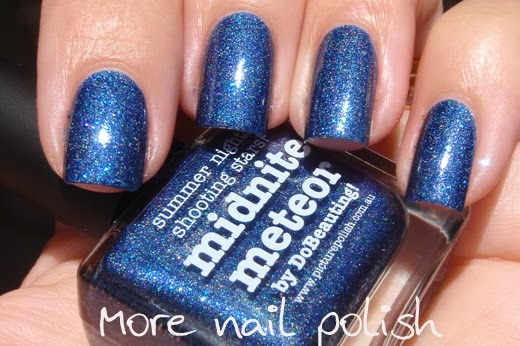 Midnite meteor - by Do Beauting! 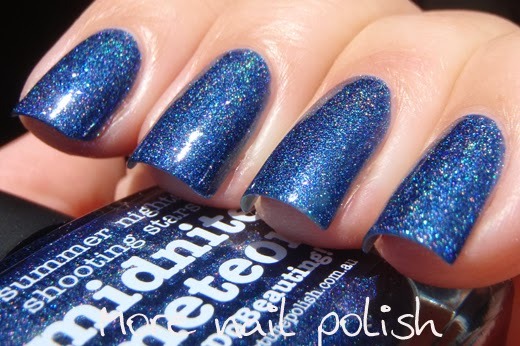 A delicious dark and dusty navy blue with multi-colours flecks and the bijou holo. Just like the other shades, the formula and opacity was excellent. This is two coats. Pirouette - by Tenshi no Hana. 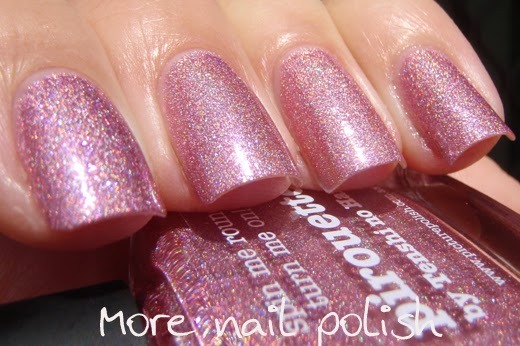 A dusty rose pink base with the same multi-coloured sparks and the bijou holo. Although it's a pale shade of pink, again the opacity was great. Not quite as opaque as the other shades in this collection, but certainly opaque in two coats and the holo shimmer shines through nicely. Tail Feather - by Kayla Shevonne. Just like the others in the collection, this polish has multi-colored sparks and the bijou holo. The holo shimmer in this one does hide a bit more than the other shades, but the multi-coloured flecks seem to show more. This one was also a creamier and thicker formula than the other shades and I needed three coats to get a smooth opaque finish. I such a huge fan of the Picture Polish collaboration shades, they always seem to have interesting colours and fabulous finishes. I particularly love reading each collaborators story behind their shade. If you didn't click on each blog link above and you haven't already read their stories, they you should. I've also updated my Picture Polish color guide where you can see swatches of all the Picture Polish shades in the one place. 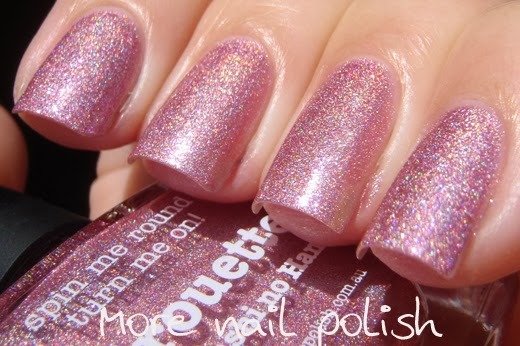 What do you guys think of these new bijou holo shades? 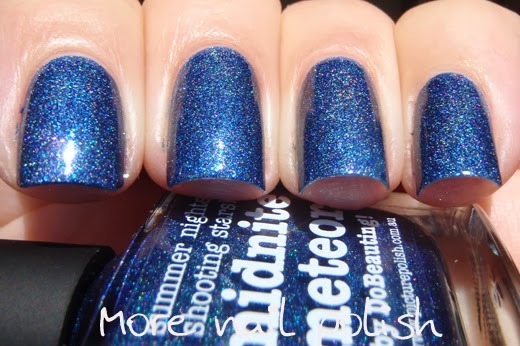 I know there was some comments on instragram saying these weren't linear holos. I can say that the holo particles are certainly very small, and generally small particle size = a linear effect. 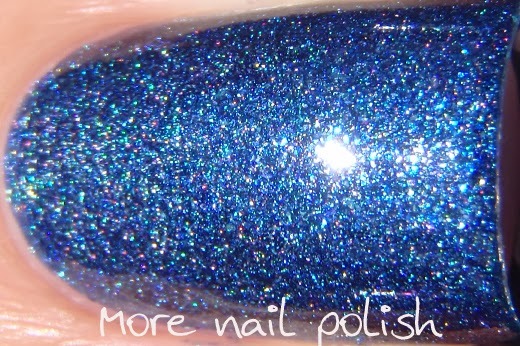 But the holo effect in these is only subtle and some shades show it off more than others. 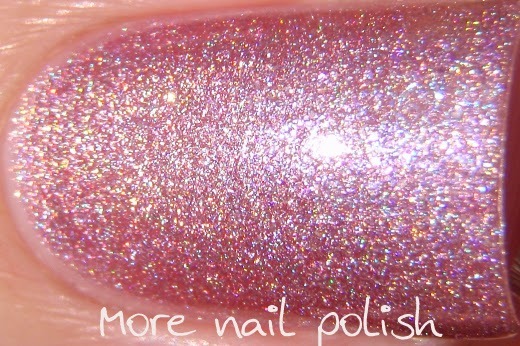 I actually think the name bijou holo is rather perfect for this sort of finish. Wow! Magnific! Loved all colors.